If you believe that your home may be suffering from foundation damage, then you may be understandably worried about what this could mean for your home, and how extensive the damage may be. The first thing you will want to do is to consult a foundation repair specialist who can inspect your home and help you to determine what the best course of action would be. However, if you have never worked with a foundation contractor before, how will you know what company to work with? Here are a few tips to help you find a reputable foundation repair specialist in your area. Your first step when looking for a foundation repair specialist in your area will be to research your options online. Look to see what companies are in your area, how long each one has been in business, and look at the quality of their reviews online to help you begin to compile a list of companies you may feel comfortable working with. Another great way to find foundation contractors in your area is to consider asking for referrals. If the houses in your neighborhood were all built during the same era, it is likely that you are not the only one who has experienced foundation problems. Consider asking neighbors if they have had foundation problems, and if so, who they worked with and whether they would recommend them. You should also consider asking for referrals from friends and relatives, as word-of-mouth is often the best way to find reliable contractors. Once you have compiled a list of a few potential contractors you would consider working with, you should call them up to ask about their services. You can tell a lot about a company by the way their customer service staff treats you during this initial call. Representatives who are kind, attentive, and knowledgeable of the problems that plague foundations in your area are indicative of a company that will be easy to work with, and that will know how to address your home’s foundation problems. Following these steps can help you to find a reputable contractor who can walk you through the process of repairing your home’s foundation. 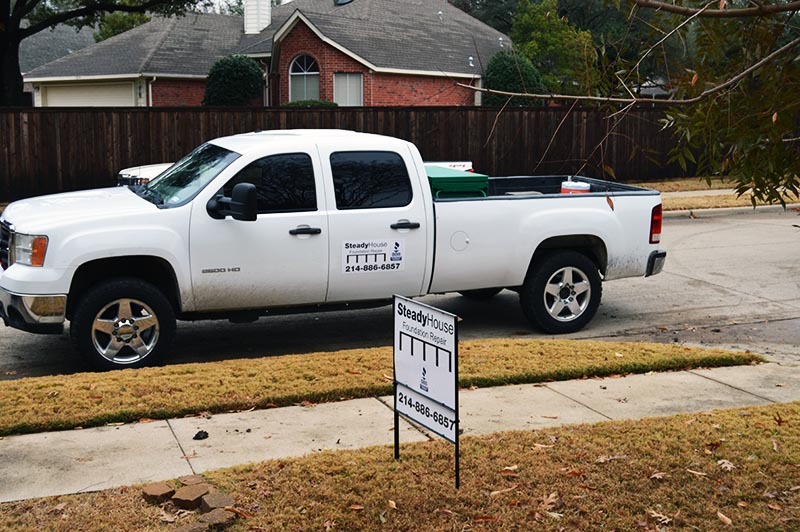 If you live in the Dallas/ Fort Worth, TX area, consider contacting us to find out how we can help you repair your home’s foundation. Your foundation is the most important part of your home. It’s critical to address foundation problems early to minimize potential damage. If you notice cracks in your foundation, you should consult a foundation repair expert right away. It might be a sign of a more serious problem. 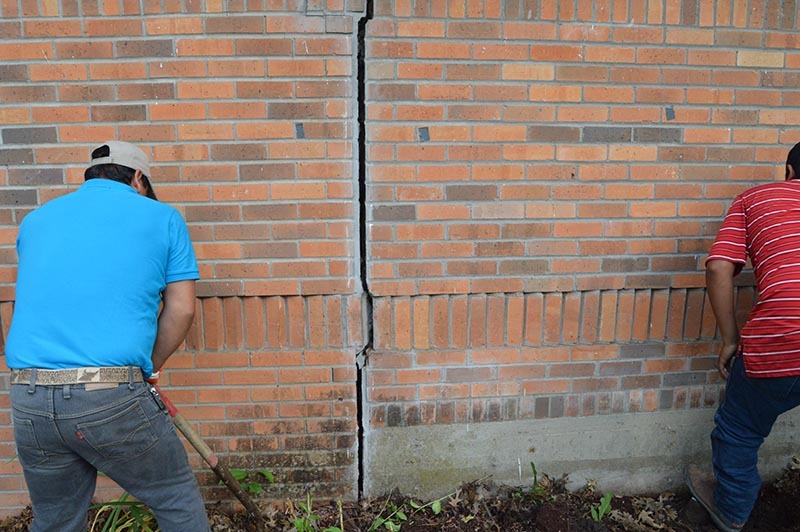 Foundation cracks have several possible causes. Settlement. Settlement takes place when the soil underneath your foundation can’t support the home’s weight. When your foundation settles, it can cause the concrete to crack. This problem can be addressed by installing a slab pier system under your concrete floor. Soil movement. Expansive soil will absorb a large amount of moisture and expand below the foundation, causing cracks. Consolidating soil does just the opposite. It can shrink when it becomes dry, creating a gap between the foundation and the soil, leading to shifting. Water leaks. Plumbing leaks get the soil underneath your foundation wet. This leads the soil to expand, creaking foundation cracks. Address plumbing problems as soon as they arise. Tree roots. Some types of trees have roots that cause foundation damage. The roots draw all moisture from the soil beneath the foundation, causing it to contract. This leads to foundation movement and cracking. If not addressed, foundation damage will only become more serious later. Here are some of the warning signs that your foundation is in need of repair. Windows and doors suddenly get stuck or will not completely shut. You see gaps between your ceiling and crown molding. You see visible cracks in your walls. Your floors are sagging or uneven. If you notice any of these issues, you should have your foundation inspected by an expert as soon as possible. Does your foundation need attention? Our team at Steady House Foundation Repair is ready to help you with any foundation issue. Contact us today for an estimate.